Strong solvent for most plastics and synthetic fibers. 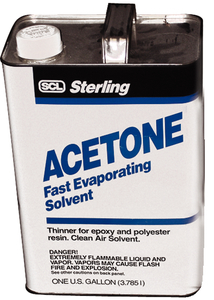 Fast evaporating for thinning and cleaning fiberglass resins and epoxies. Non-photo-chemically reactive.